From Dokan Pro v2.9.7, we have introduced Vendor Store Category feature. With it, you can set some specific categories for your marketplace. Your vendors can choose from those categories and set one or multiple for their stores. This greatly helps in making vendor stores easily visible and searchable throughout your marketplace. 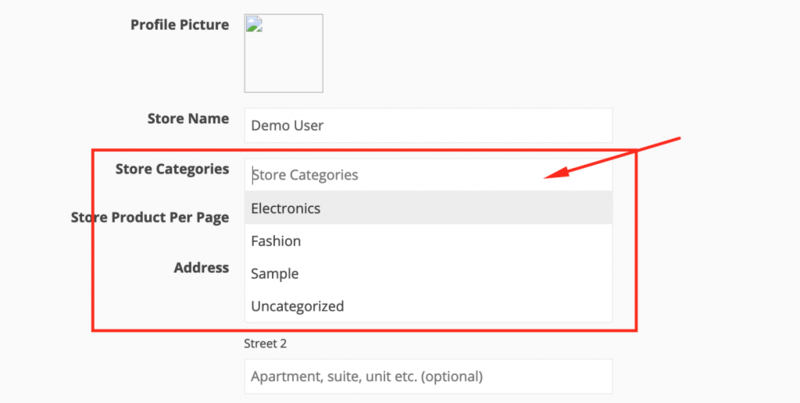 Only, marketplace owners or admins can create store categories. Vendors do not have the authority to create them. Scroll down and you will find Store Category option. You can select either Single or Multiple categories for your vendor stores. If you wish to disable it just select None. Save changes. Click on the Store Categories button and you will get the options to create store categories for your vendors. Put the name, Slug and Description and hit the Add New Category button. Your category will be created successfully. Now, you can set categories for your vendors. Simply go to vendor listing page. Click on the vendor you want and you will see their overview page. Click on the Uncategorized shown in the screenshot. You will get the category selection page. Select the categories you want and save changes. If you have selected Single category on the settings page, then you will be able to select only one and for multiple, you select as much as you want. When there are enough categories that have been created by the Admin, vendors can select store categories from the Dashboard. There is an option to select categories that Admin has created. Vendor can select the one that they feel appropriate. 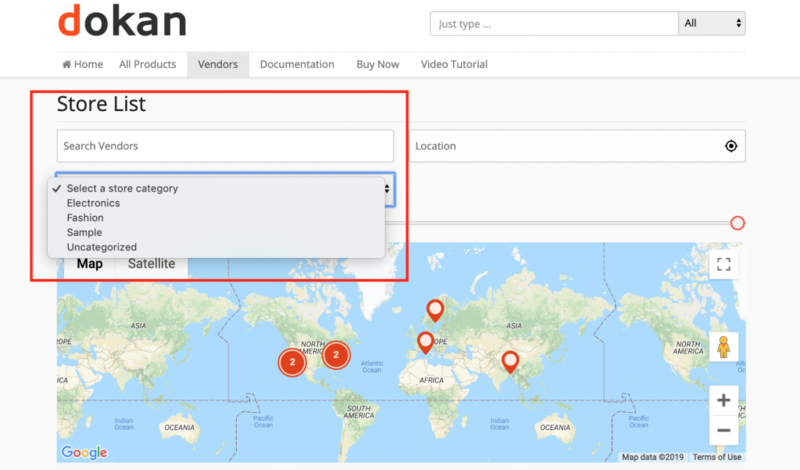 When you have the Geolocation Module enabled, your users/ customers can easily find vendor stores using store categories. 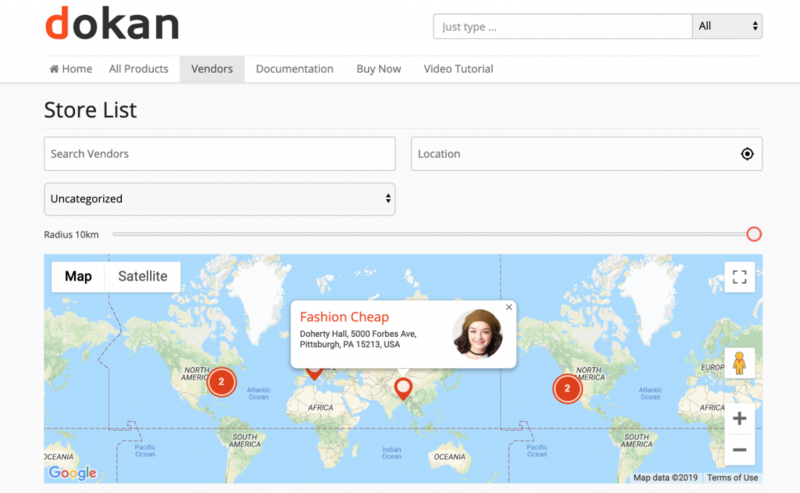 On the Vendors menu or page, customers can view the geolocation filtering option. Now, there is another filtering field named ‘Store Category'. Your customer can select the category from the dropdown menu and easily find vendor stores.